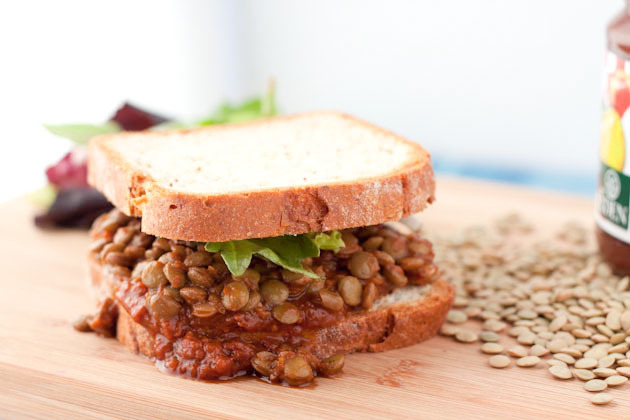 A vegan approach to the classic pulled pork sandwich. 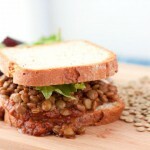 Save time and money by cooking the lentils in your slow cooker! Place all sauce ingredients in a food processor or blender and blend until smooth. Place in a medium-sized saucepan. Cover and bring to a boil on medium heat. Reduce heat to low and simmer covered for 30 minutes. Remove from heat and stir in cooked lentils. Serve over top bread or buns smothered in apple butter, or try as a burger topping.